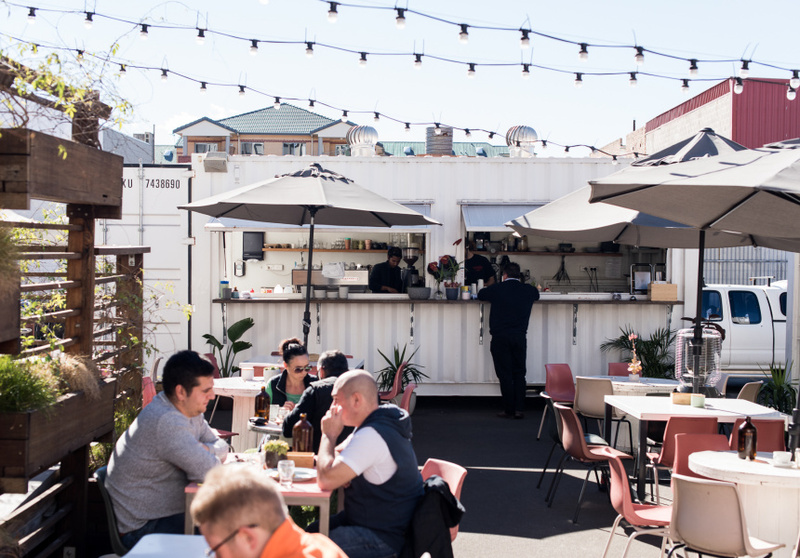 Son of a Gun occupies a shipping container and outdoor seating area at the back of Sifters Co-Op. It’s surrounded by plants from another Sifters resident, Pepe’s Garden. On a nice day it’s one of the most pleasant coffee spots in Wollongong. With plenty of room, the cafe is inviting to all – even people walking their dogs. 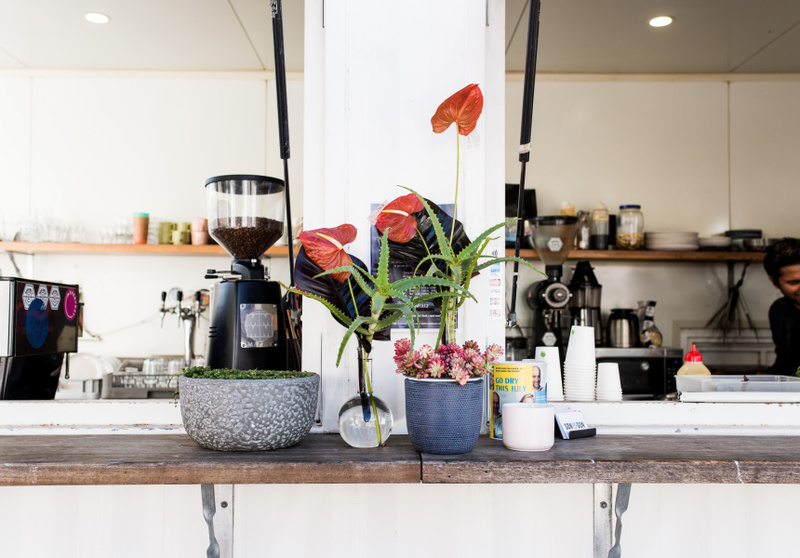 As well as using beans from Seven Seeds, Son of a Gun rotates through single origin coffees for espresso, batch brew, pour over and cold brew. Other notable Melbourne roasters such as Wood and Co. and Everyday Coffee often come up. Teas come from Assembly, hot chocolate from Mörk and chai from Prana Chai. 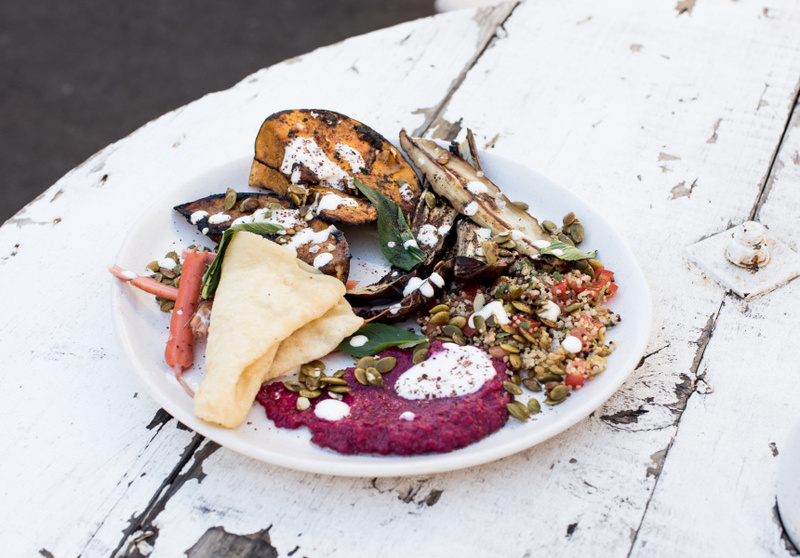 The menu includes avocado on thick-cut Thorough Bread sourdough with Meredith goats cheese and heirloom tomatoes; and corn, kale and herb fritters with haloumi. Barbeque is on offer every Thursday and Friday, including pork and brisket rolls.